Wind down and take it easy in our non-smoking King Bed Executive Room that pampers travelers with a King size pillow-top bed and a separate vanity/bath area. Stay productive with free high-speed WiFi, and a work desk with chair. 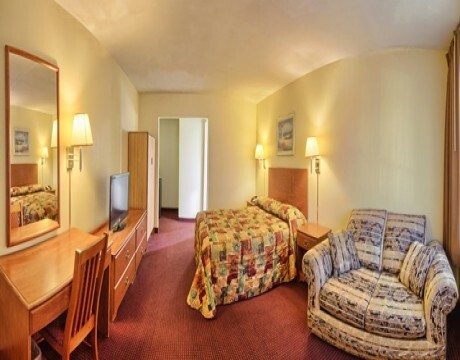 Additional amenities include a 27-inch TV, premium cable with HBO and ESPN, a refrigerator, microwave, iron and ironing board, are all available for your comfort and convenience. 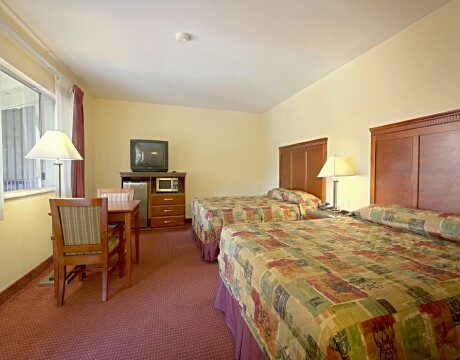 Signature amenities for your comfort.